Paul is the owner & Managing Director of Reggae Horseback Riding, a company he started in 2003 located just 15 minutes from Negril. A graduate of Roberts Wesleyan College in Rochester, New York in 1992, Paul worked as a manager for Champs Sports in Buffalo, New York, at the Walden Galleria Mall until 1993, before he moved to Toronto, Canada and became a Financial Adviser for several banks before returning home in 2002. He is an excellent tour guide, very knowledgable about horses, the flora & fauna of Jamaica. Jermaine better known as ” Luga”, is the funniest person among his peers, but he clearly demonstrates tremendous leadership skills, understands the priorities of ensuring all our rider’s are comfortably and properly fitted with the most suitable horse for their reggae horseback experience. Jermaine has been very responsible both at work and among his home sharing the family responsibilities of his younger siblings. 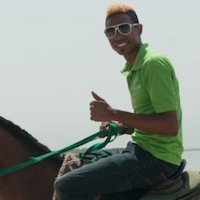 Jermaine is a horse ferrier, and is known for his acrobatics on horseback & swimming, a horse lover and an amazing photographer as all our tour guides at Reggae Horseback are trained photographers. Carl is our oldest tour guide at 35, gentle spoken, handling horses for over 25 years as his father was a horse trainer. He is known as “old boy”, and specializes in tours with kids, walking guide, and tours for the physically challenged. 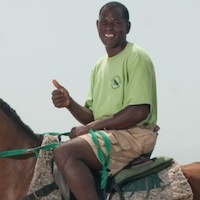 Carl is the most patient person, extremely knowledgeable about horses and jamaica’s Eco system especially at Reggae Horseback Riding where this tour is so informative about our Eco friendly tour. A guide who would give his tips to the horses if they asked, a true animal lover who will always exceed your expectations. Javed is better known as. ” Javinchy”, born May 9, 1988. At 26 Javinchy is a new and proud father of a baby boy. 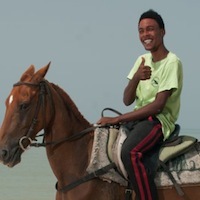 He is now a Certified Life Guard, and trained tour guide as required by all our tour guides. 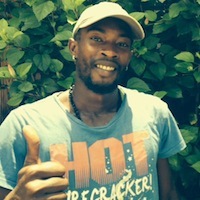 Javed is from Ocho Rios where his family resides but work brings him to Negril. 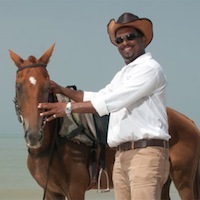 Javed is a very experienced tour guide having done 8 years with Reggae Horseback Riding. 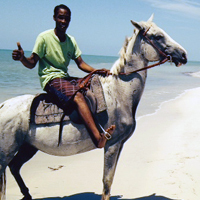 Javinchy is a singer and loves Bob Marley songs which he involves all his riders to join into on tours, but he has a good sense of humor and certainly will have you laughing on our reggae horseback riding tours. Nick is fairly new to Reggae Horseback Riding but he is a trained Professional Photographer whom is available at weddings and special events. We have now trained all our tour guides as photographers and for this reason all your pictures are free when you visit Reggae Horseback Riding as no other horseback tour offers you all free pictures with your cameras on tour! © 2019 Reggae Horse Back Riding. All Rights Reserved.